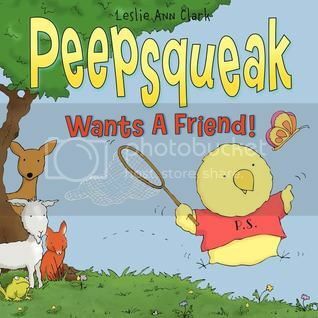 Here is a unique and simple picture book with a few words per page. Fleming's distinctive dyed paper pulp illustration technique is, of course, a defining element of the style of this book. 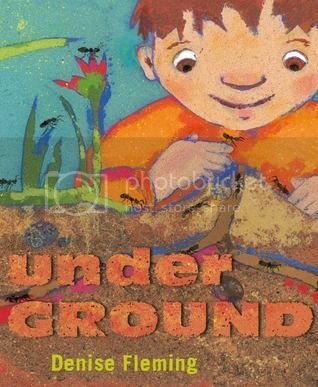 Worms, moles and other such creatures are featured in this appreciation of underground natural habitats. Pair this with Diary of a Worm by Doreen Cronin for a great Dig Into Reading summer storytime! Can punctuation rules make for an exciting children's story? Yes! Yes they can! Exclamation mark doesn't fit in with all the other periods... even though he tries, he simply stands out too much. Enter the question mark, whose inquisitive nature causes him to quickly strike up a friendship with exclamation mark. 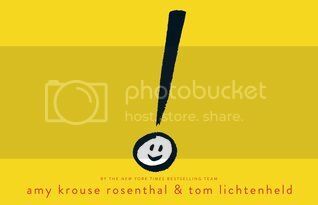 But, will exclamation finally get sick and tired of question marks constant questions? Presented in a very simple format, with lined paper as a background, simple cherry wooden colored endpages, and varying typefaces, Lichtenheld's expressive smiley faces carry the story to a humorous conclusion. Colorful digital and ink illustrations take us on Peepsqueak's quest for a friend. His repeating line, "You are 2, but I am 1; my search for a friend has just begun," does tend to get a little wearing as he "hopped, skipped, jumped and skittered" in search of a friend. Still, this is a nice story for youngsters in search of encouragement on the ease of making new friends. So simple and fun. Here's a book in the same category as Crosby Bonsall's Mine's the Best with an entire engaging story being told with a vocabulary of less than 25 words. 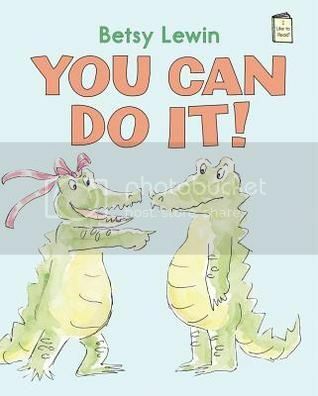 An alligator has a dream of winning a swim competition and puts in plenty of hard work on the journey to victory. An appealing beginning reader, with loose watercolor illustrations, the endpages feature alligators warming up for athletic feats.